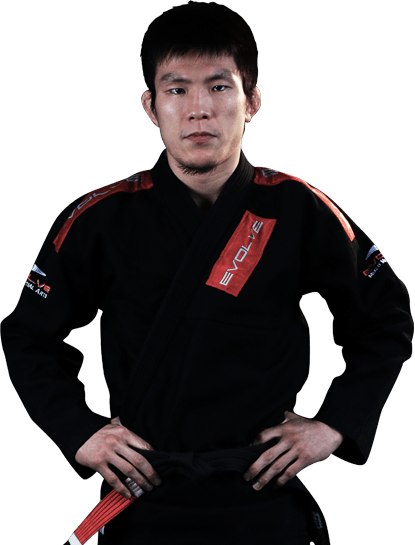 Shinya is an Instructor at Evolve Mixed Martial Arts in Singapore on a seasonal basis. A Black Belt in both Brazilian Jiu-Jitsu and Judo, he is the current ONE FC Lightweight World Champion. He was also the DREAM FC Lightweight World Champion. Shinya is widely regarded as the #1 pound-for-pound MMA fighter in Asia. He brings over 20 years of martial arts experience to Evolve MMA, competing at the highest levels in the world. He is currently the top BJJ Black Belt in Japan, and he has won every major BJJ tournament in Japan. 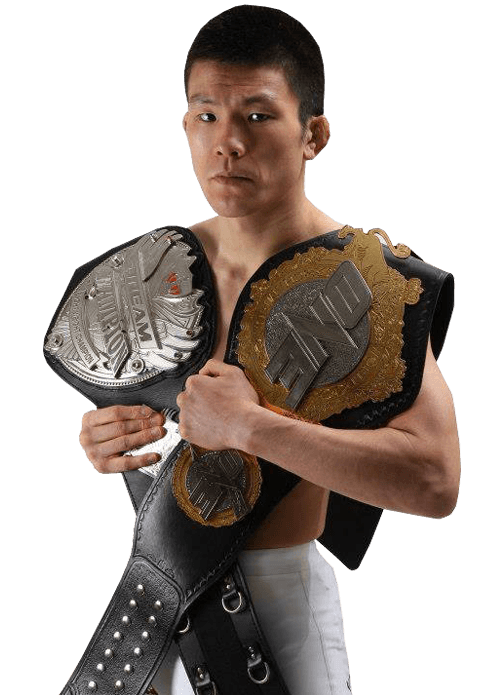 For MMA, Shinya Aoki has won every major title in Japan including Shooto, DEEP, and DREAM. He holds a Black Belt in Brazilian Jiu-Jitsu under the legendary Yuki Nakai, the 1st BJJ Black Belt in Japan under Carlos Gracie Jr.
After graduating from University, Shinya joined the Police Academy and thought he would never compete in MMA again. Shinya is a graduate from the prestigious Waseda University in Japan. While competing in Japan, Shinya gained notoriety for his trademark rainbow colored spandex tights. One of Shinya’s favorite positions in Brazilian Jiu-Jitsu is the Rubber Guard. Shinya is known for finishing most of his fights via submission. Shinya is known for having extreme flexibility and dexterity with his legs. Born in Shizuoka, Japan, Shinya started his martial arts journey while training Judo in high school. After graduating from high school, Shinya moved on to Waseda University where he continued to train and compete in Judo. To further his grappling knowledge, he started training Brazilian Jiu-Jitsu, Sambo, and MMA under Shooto veteran and MMA legend, Yuki Nakai.